Justin has recently completed several new paintings that he created during special events through the summer and fall. He enjoys sharing his unique painting talent with his fans and friends in fun locations. 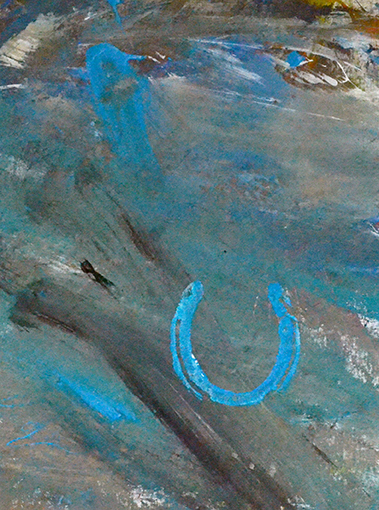 Each painting features his equine energy and his signature hoof print.